When you see a convertible car on the road do you look at the color of the car? Of course you do and over time some colors have been associated with different aspects of driving. The color silver or gray is typically used on cars of a luxury nature to give them a look and feel of imposing impressiveness and elegance on the road. Black is more deceptive and dark and is left to give us some mystery that we might want to unveil while red is a color most used for fun, excitement and racing. Because red is associated with the more exciting part of driving it may come as a surprise that Buick didn’t immediately add this color to the list you can choose from for the new Cascada ST. In fact, the only color you could choose on this car initially was the True Blue, and that color is one that’s certainly attractive and easy to enjoy, but the need for a real red for this impressive convertible was present, especially since Buick was being asked by several shoppers if they could get the car in red, which wasn’t the case before. Not only will you be able to buy the new Cascada ST in Sports Red, the perfect name for the color that we want, but you’ll be able to enjoy some of the other visual improvements that go along with this improved color choice. For this new color, Buick has developed a new Dark Effects package which offers you gloss black on the grill, mirror caps and wheels while also adding body color trim on the decklid. This new look will certainly give the red more effect with the dark accents which perfectly offset the body color and make this car look amazing. On the inside, the Dark Effects package adds red stitching to the instrument panel, doors, and seats. This new looks will make the interior feel sportier and more race ready if that’s what you choose to do with the Cascada ST. Of course, the interior is still going to be pure Buick with a quiet cabin and a smooth ride that makes it easier for you to enjoy the premium quality and impressive performance of the car when you’re behind the wheel for the pleasure of driving or running errands in this impressively designed convertible. The initial run of the new Cascada Sport Touring models in Sport Red will be limited to 150 models that will arrive around February 1 of this year. Other models will be built as demand for the Sport Touring version of the Cascada increases over time. The fact that nearly a quarter of those who purchase a convertible want one that’s red should be an indicator that this will be a huge hit for Buick and the customers who are looking to buy their Cascada ST and have it bathed in the color that signifies the sport and the fun they want to have. Because of this additional color, Buick has decided to make another change to its strategy with the Cascada. There will be a new color and trim combination given to this car on a regular basis over the next few years, making it easier for those looking for a particular color to get what they want. This means you may see a Canary Yellow or Burnt Orange color in the future as well as some of the others like Lime Green or even a Sinister Black. 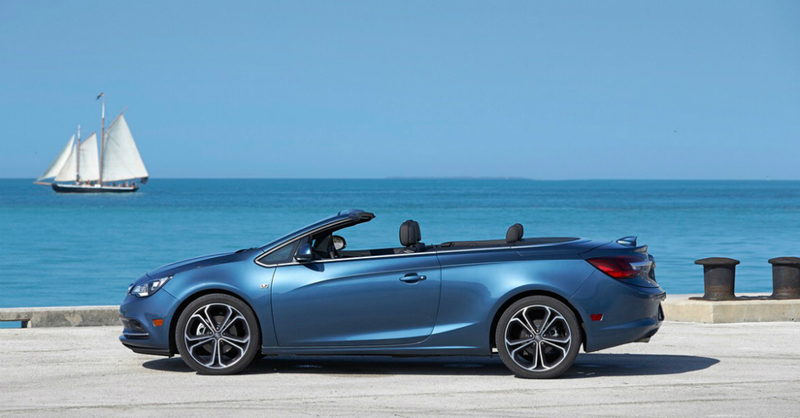 Buick has figured out how to continue to offer the Cascada to us in a delightful and impressive way, which has led to their success with this convertible already.